Grilling chicken for the freezer is a great way to save money and time. It also allows you the luxury of tasty grilled meats at a moment’s notice. 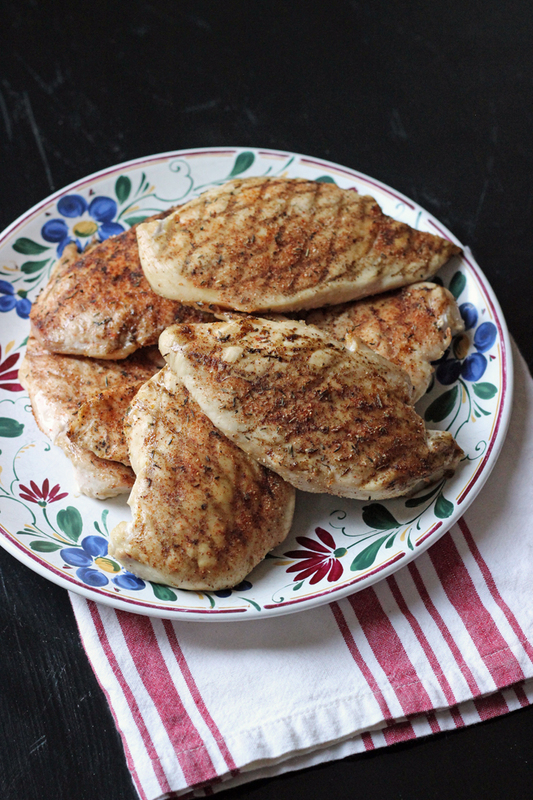 Make a bulk batch of grilled chicken for the freezer and save! Yesterday we unplugged the deep freeze to allow the ice crystal build-up to thaw. A few hours later when I went to wipe it down, my girls lamented the fact that there was “no more snow.” Yes, I think that’s a good thing! I plugged it back in last night and am on a mission to refill it. Our school year is starting this week which means that our days will be busier. In a few weeks we’ll be adding swimming, hockey, and science classes into the mix. This means the temptation for take-out will be greater. So, I’m on a mission to fill the freezer. Power out on freezer cooking. I’m taking the power session approach to freezer cooking this month. I’ll be doing short cooking sessions throughout the week in the hopes of getting the freezer filled with plenty of pre-made meals and meal components to last us for several weeks. By cooking a bulk batch of something each day, I can feed my family their daily bread as well as squirrel some away for the future. Grilled chicken for the freezer is one of my favorite options. Not only do we enjoy smoky tender chicken for dinner the night I cook it, but then I can slice and freeze cooked chicken in bulk to add to salads, sandwiches, bowls, and pizzas for weeks on end. Buy the chicken on sale – This week boneless, skinless breasts and thighs are on sale at Vons, our Safeway affiliate, for $1.97/pound. (The lowest I’ve seen however, is 99 cents/pound at ALDI.) 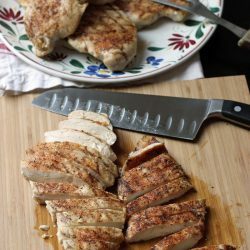 You can buy packs of just breasts or a combo, so if you don’t want dark meat, pay close attention. I bought 8 pounds, knowing that I would be cooking and freezing in bulk. I spent $16 on chicken. Multitask – Since we were already going to turn on the grill for dinner, I planned it so I cook everything at once. This made best use of the propane that I was using. It also did not really take me that much longer to cook 8 pounds of chicken than it would to cook 2 pounds. But, now so much work is done for me! 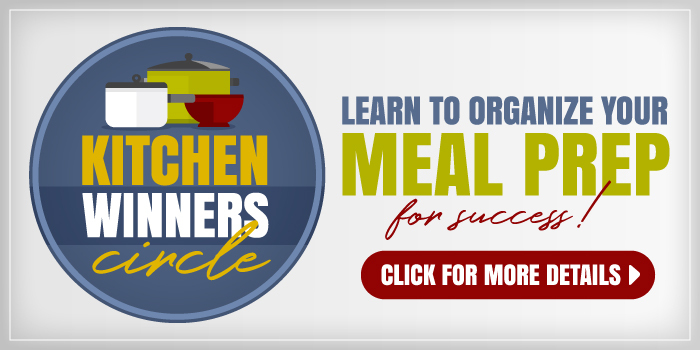 Make lunches ahead of time – My husband has requested grilled chicken for his lunches in an effort to improve his diet. While I made meal-size packages of chicken, I also made lunch-sized portions for him, weighing out 4 ounces on a scale and packaging those portions separately. In this way, the main protein of his lunch is made ahead of time to add to sandwiches, salads, bowls, or wraps, and we save money on his lunch budget. 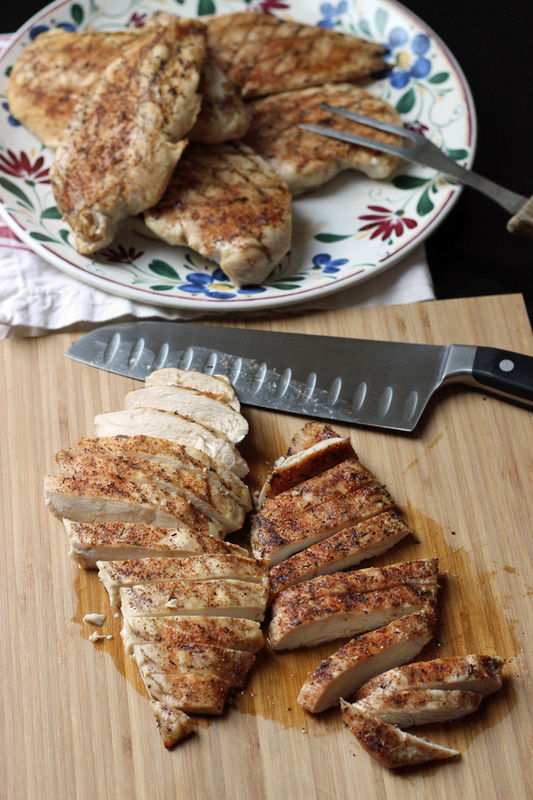 Grilling chicken for the freezer is a great way to save money and time. It also allows you the luxury of tasty grilled meats at a moment's notice. Light your gas or charcoal grill. Rinse your chicken pieces and lay them out on a large rimmed baking sheet. Season the chicken generously with the spice rub. Just the tops is fine for now. Place the chicken on the hot grill, spice side down. (Depending on your grill, you may need to oil the slats first.) Season the back sides of the chicken pieces. Cook over medium heat, covered, until the chicken is cooked through. The internal temperature should read 165 degrees. Remove the chicken from the grill and allow it to rest. In this way the juices will redistribute throughout the chicken. You can serve the chicken now or follow note to freeze. To freeze: Chop, slice or leave the chicken pieces whole, depending on how you want to use them later. Cool completely. 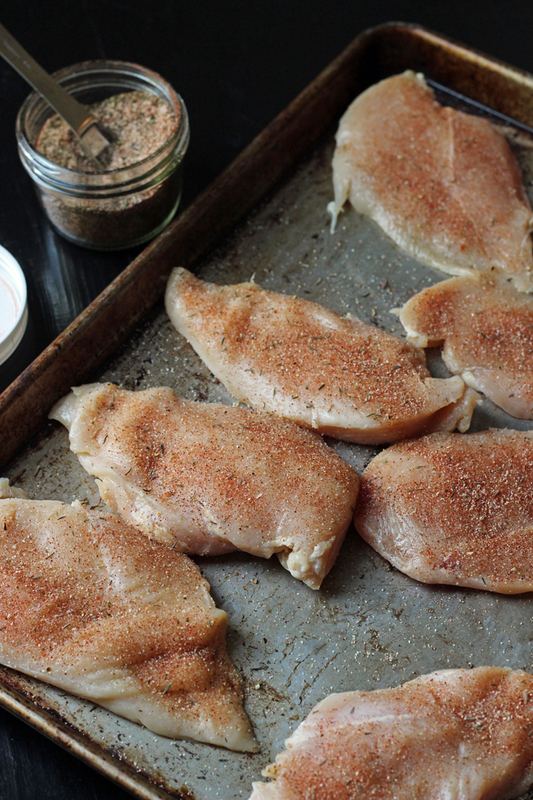 Divide the chicken into meal-sized portions in freezer bags or freezer-safe containers. Label with the date and contents. Chill the chicken in the refrigerator before freezing. To serve: thaw completely in the refrigerator. Reheat or serve cold. 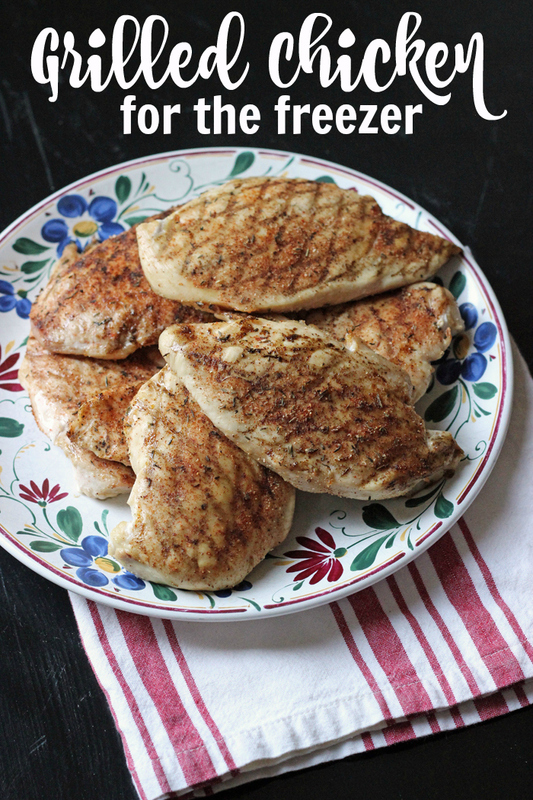 Grilling chicken for the freezer is a great way to save money and time. It also allows you the luxury of tasty grilled meats at a moment’s notice. Provided that you don’t overcook your chicken, that you cool and chill it properly, and that you wrap and store it appropriately, your grilled chicken for the freezer will be just as good as the day you cooked it. Originally published July 30, 2012. Updated March 17, 2018. Looks good, but alas, its been 112F out today and will be 100Fish all week (will likely be that way all August). Will have to sacrifice the a/c bill one day soon to stock up on baked goods and the like in one insane day of baking. Today was NOT the day! Looking forward to see what other ideas you have to share. I roast chicken in the oven and freeze it for chicken tacos, enchiladas, soups, etc. It is so much yummier than boiling it like a lot of people I know do, and it is so convenient to have it available all of the time. Great idea! A local store has boneless, skinless chicken breast on sale for $1.69 this week, but you must buy 10 lbs. Now I know what to do with that 10 lbs. of chicken. I love your step by step instructions but if you could add into what portions you are chopping, slicing and leaving whole pieces and what meals you intend to use that chicken for it would be helpful for me. Thanks, Jessica! I appreciate all you do! Obviously, what I do for our family of eight is going to be too much for most people, so I didn’t prescribe a certain portion size in the tutorial. For my husband’s lunches, I made 4 ounce portions of sliced chicken. Then I chopped the rest and packaged it into 4 cup-portions. We’ll use this over one or two meals, depending on what we make. 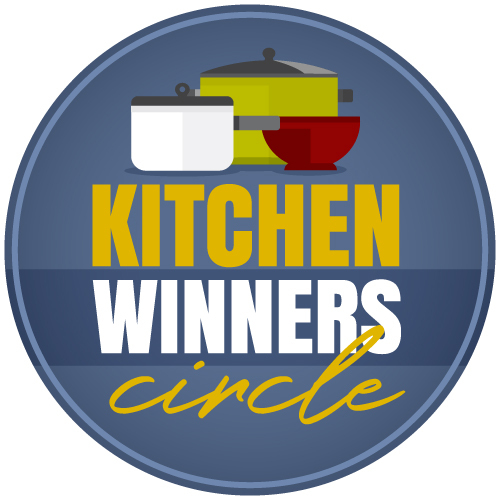 2 cups of chopped chicken is typical for a casserole, salad or pot pie while we might need more for something like tacos or sandwiches. Hmmm. I’ve done chicken in the crock pot then shredded it and froze it but I haven’t done grilled chicken. That’s a good idea. How long can you keep cooked chicken in the freezer (properly cooked, prepped and stored, of course)? 6 months? @Christine A, it depends on if it’s in the deep freeze or the refrigerator freezer. I like to use things up within 2 to 3 months, preferably. Freezing grilled chicken is something I’ve never, ever heard of… and I do lots of freezer cooking! I understand if it’s in a casserole or for tacos, it would be easy to re-heat/incorporate, but do you ever use it whole? How do you re-warm it, say, to serve on the bone or as a stand-alone main dish? 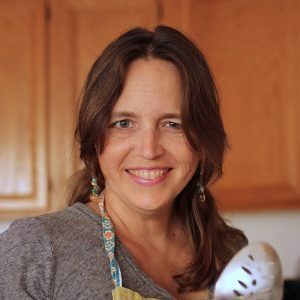 It’s been wonderful to add to pasta and rice salads or to tuck into my husband’s lunches. I typically do this only for boneless breast meat, and usually serve it chopped into something else, but you could easily serve a whole breast. Thaw it completely in the refrigerator and then reheat the way you typically do for leftovers (microwave or foil pack in the oven). Latest information from the USDA says that rinsing chicken may actually cause cross-contamination problems and isn’t necessary. It’s nice to know that we’re not alone in precooking a lot of meals (or as you said so well, the meal components) ahead of time for later use. Liked the idea of using the grill for this, since it was already in use for something else already. Yep. This post is from a year ago before not rinsing was widely addressed. Thanks for sharing the link. What’s the best way to defrost the frozen chicken? I usually put the package on a tray in the refrigerator. That is the safest way, though you’ll need to be patient.